I am very excited about the creation of this new venture. This league will be built with 16 teams.. The format of the league is H2H Each Category is a W/L/T. The league you are about to read below is for owners who are strong, patient, mature, highly engaged and sociable. This league is a " long-haul" marathon. League activity is year-round with full access to league site 365 days /yr. League Opens operations in October of this year on Fantrax!! I am seeking owners that are not "league collectors" and just adding this one to their stable of many leagues. I'm also not interested in a "casual fan" nor am I interested in the "set it and forget it" type. I am looking for owners who want to really entrench themselves and become highly involved in being part of a great league for a very long time. Having a great league is two fold: 1) A good setup that is challenging and 2) Owner involvement and dedication. There are lots of other good leagues on this forum to choose from, but I can tell you if you are looking for a long-term fantasy baseball league to get involved with from the very start this league will definitely present that opportunity to you! I assume if you are still reading this long-winded message you are intrigued and interested - so with that I will provide more details below along with the email address to get further league information and the league charter. Please be advised and understand this is not a "first come - first serve" basis to gain ownership. There is a vetting process to this league. I want a strong league and will make the best possible ownership decisions that I feel are "best fits" based on interactions with potential league members. 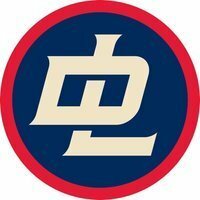 The team theme of this league will be a nostalgic feel + a modern feel fielding old + current team names such as the Brooklyn Dodgers, New York Giants, St. Louis Browns, Cincinnati Red Stockings, Washington Senators, Philadelphia Athletics, Houston Colt .45's, Montreal Expos, New York Yankees, Boston Red Sox etc etc. Only one city can be represented by team ( exception to New York and Chicago themed teams.). The categories scored offer a nice blend of balance between hitting and pitching. The theory behind the selection of categories you see is to maintain a healthy level of balance throughout the 16 teams and also give trading some real interesting thought. We start 9 batting positions and 9 pitching positions. The theory behind the construction of lineups is to challenge owners on strategy and allow for flexibility. We do not set generic and basic "OF" for this very reason. 8/16 teams will earn a payout of some amount. Teams are rewarded for the "long-haul" of the season for the hard work put into their season. Payouts are tiered (paid-out) by seed position. Most importantly the league payout system is NOT designed for a " one-time get rich" type of structure. The payout system is in place to have some monetary attachment to it to drive overall owner competitiveness and to keep owners for the long-term with the ability to recover their annual investment on a yearly basis but also win more. 8 teams advance to the post-season playoff format. Division Champions are top 4 seeds. Potential owners that express interest, please write a small message with the following info included. What's most important to you when you seek out a new league opportunity to join. What characteristics do you bring to the league. The league opens in less than 90 days. Got it and i just replied back. Thanks. Sent reply email to you both. Age - I am 29 years old. Fantasy baseball background - I have been playing fantasy sports for 12 years and 8 years of that has been keeper and dynasty leagues. 3 of those I have been in for 5 years. I do not quit, but some leagues fall apart. What's most important to you when you seek out a new league opportunity to join - Level of involvement from owners, even in the off-season. What characteristics do you bring - dedicated active player that sets lineups everyday makes moves and monitors the league even in off-season. Been playing since I was about 12.. back when you had to be at least, what was it.. 14 or 16 to create an account? Had to use my mom's info to join. Love the game of baseball. Daily activity.. at least 30min to a hour a day. No doubt. Passion for the sport. I've always been a three sport guy (baseball, basketball, football) but there is something special about baseball. Outside of the Pyramids, Stone hedge, maybe Greece.. there is no place I'd rather be than inside a ballpark. Treat the league like a family! Thanks man, look forward to the potential opportunity. Shoot me an email, I can send you the league constitution.